Step outside of the ordinary and experiment with innovation without limitations: this is what we have grown accustomed to with the 5 Moncler Craig Green line, collection n°5 of the Moncler Genius project. 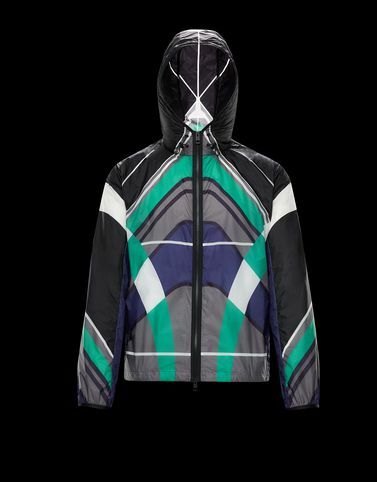 The Spinner is the perfect example, reinventing the lightweight rip-stop nylon jacket with a kite surfing inspired print according to the stylistic practices of the English designer. Do not wash; Do not bleach; Do not tumble dry; Ironing maximum temperature 110°C - without steam; Dry cleaning in tetrachloroethene - mild process; Do not professionally wet clean; Dry flat; Wash separately; Remove detachable accessories before washing; It is advisable to wash and iron the garment on reverse.